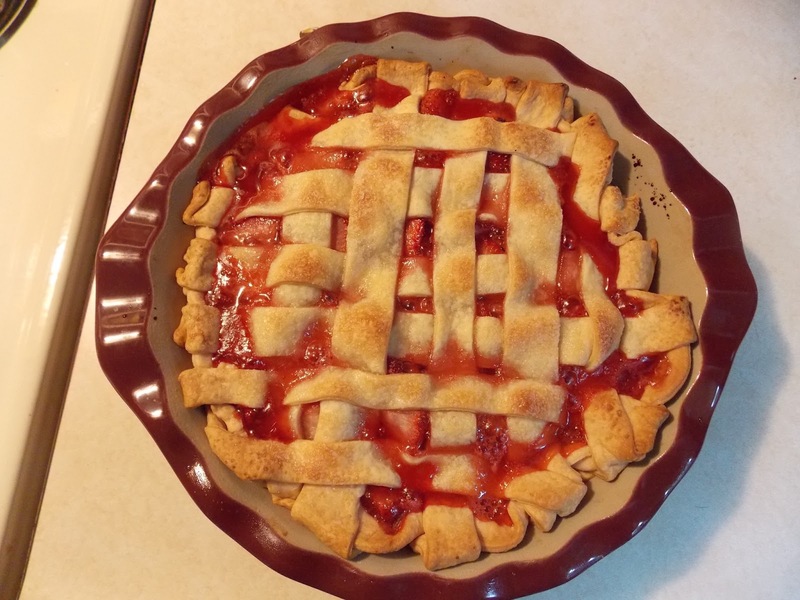 Made my first strawberry pie the other day and boy was it good! Found this super easy recipe *online and wanted to share! 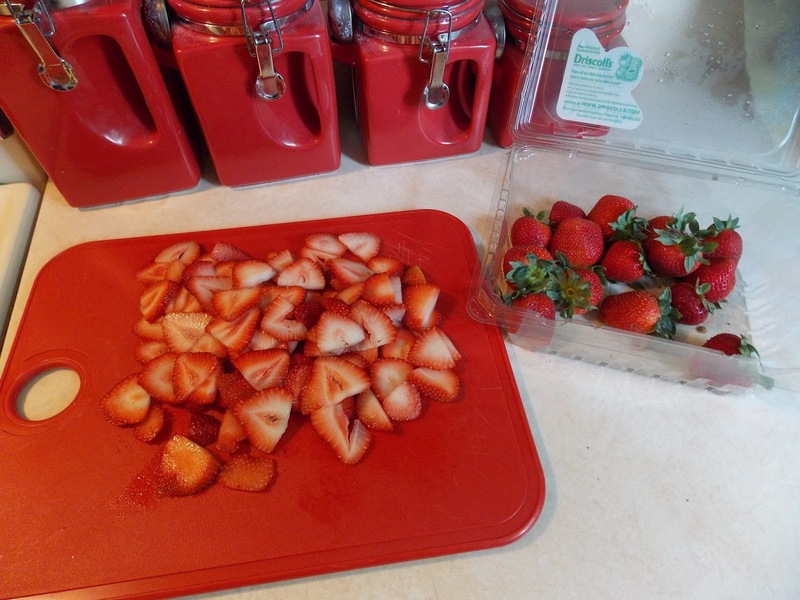 Cut up your strawberries, I cut them pretty thin to make for more. 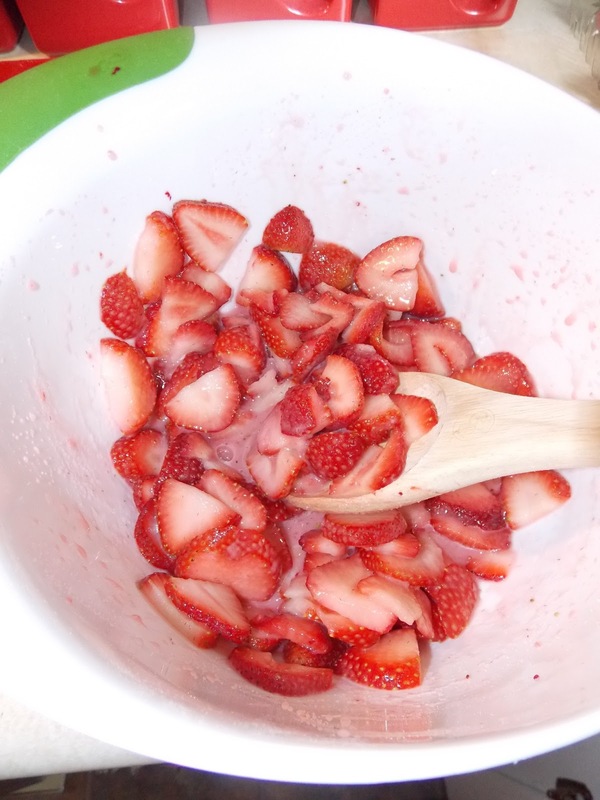 Next, mix strawberries, sugar, cornstarch and salt together. 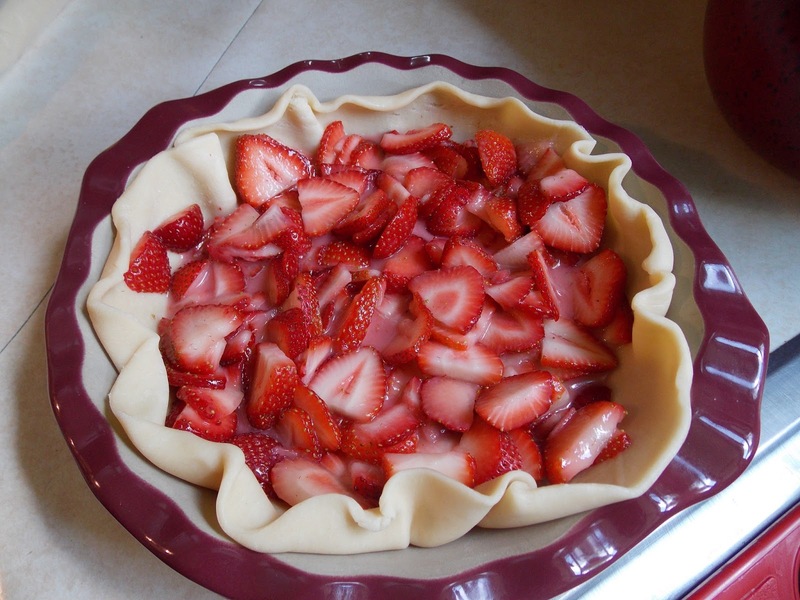 Put your crust bottom in pie dish and add filling. 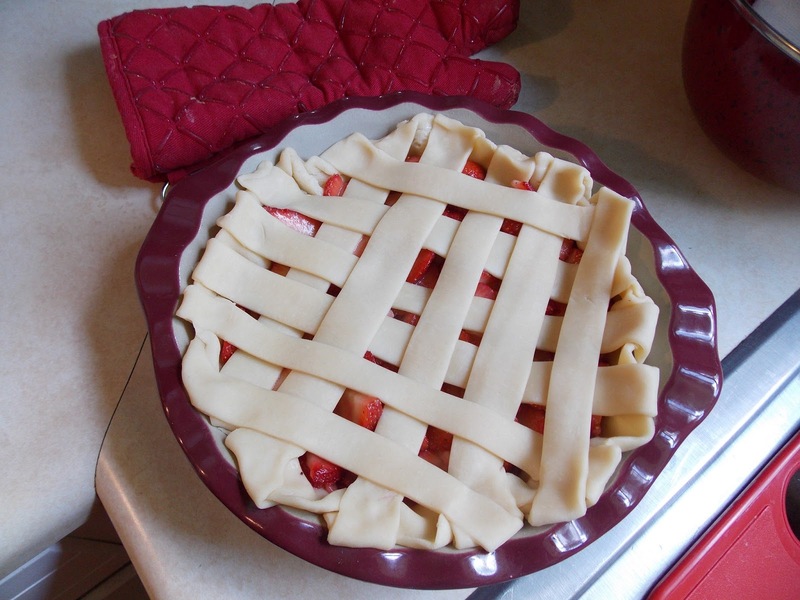 Then add the lid of your crust. You can do it any way you like as long as there is a slit or two. I tried my hand at lattice and it wasn’t too pretty. I know how to fix it next time though! Brush top with melted butter and sprinkle sugar on top. Place in oven at 400 for 25 minutes. After 25 minutes reduce heat to 350 and bake for remaining 30 minutes. As a blogger, I occasionally use affiliate links in my posts or on my sidebar. I will earn a small commission if you, the reader, follow those links and make a purchase. Hope you don't mind, and thank you for reading my blog!